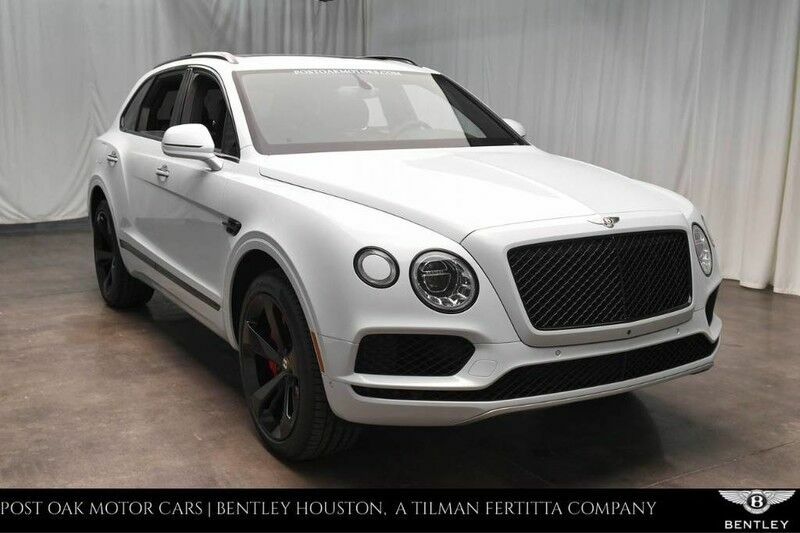 2019 Bentley Bentayga with Ice exterior and beluga interior. Optioned with piano black trim, Bentayga Blackline Specification, Centenary specification, red brake calipers, mood lighting, 22" 5 spoke alloy wheels, contrast stitching, hand contrast stitch to steering wheel. diamond quilting to seat bolsters, shoulders and door inserts, jewel fuel, oil filler caps and embroidered Bentley wings emblems, Drilled Alloy Sports Foot Pedals, matching footrest, Wheels: 22" 5-Spoke Directional Alloy Black painted and polished, Tires: 22"
diamond quilting to seat bolsters, shoulders and door inserts, jewel fuel, oil filler caps and embroidered Bentley wings emblems, Drilled Alloy Sports Foot Pedals, matching footrest, Wheels: 20"
Black painted and polished, Tires: 22"